There were several crews for serveral types of jobs needed to replace the sewer lines. Each job was extremely hard, difficult and time consuming. These workers worked in rain and freezing weather. Each crew began immediately and did not stop until their part was completed. Juan was excellent, positive of his crews and explained every job to us in detail. We thank Statewide’s employees and a great thank you to Juan, the foreman. We are pleased with all. They all received a Green tag passing full inspections. Thank you Juan. Post not allowing service location to accept post. We had Statewide do a complete bathroom remodel and we’re so pleased with the results. From our initial meeting to final day of install, the entire project went smoothly. The attention to detail, the communication, and the willingness to make adjustments meant we were 100% satisfied. Thank you Nancy for taking the time to post your experience with our company! We appreciate your business. I am very please with my remodel. We had a tub converted into a shower. The tile work is great. Statewide was in contact with us daily . I would recommend them. Thank you Suzanne for your review. We appreciate your business! Anytime I had a question on my bathroom project I was able to speak with someone. From the Project Manager Michael to the Branch Manager Donald, all were very helpful. In the near future when I have another home project come up, I feel comfortable and at ease in hiring their services again. Thank you and you've gained a returning customer. Awesome post! 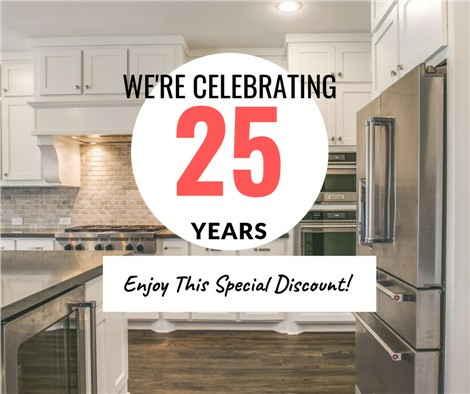 We appreciate your business and look forward to servicing your future remodeling needs! Very impressed with day to day clean up of work area and constant communication with the office. My Field Supervisor was always just a phone call away. We were accidentally left without hot water over night due to a missing plumbing component, but the situation was rectified first thing the next morning. Minor issue involving the installation of small shelf in shower, but someone came out and repair has been scheduled Very pleased with the final result, would recommend and/or use them again. Thank you for taking the time to post your experience with our company. WE are glad all turned out great at the end. Call us if you need anything. First of all, I expect stress when I’m having any type of work done on my house. This is the FIRST time in my life that there was no stress, and I’m well up in age. I am very pleased with the professionalisms of Oscar and his crew, he kept me up-to-date on everything that was happening and on what I was to expect, so there were no surprises. They ripped out everything including the tub and kept my house clean. They even wet mopped my hall floor when they finished. Oscar was the BEST! I have never had someone doing a job/repair for me that contacted me every day just to made sure I was satisfied with what was going on. I knew exactly when they were coming, I received calls everyday by Gloria from the office to make sure things were going well. I am completely thrilled and satisfied with my ‘New’ bathroom. A Big Thanks for making me happy with this project. Thank you for your great post. We are happy that your remodel was stress free! Enjoy your new bathroom! Statewide remodeled our bathroom and we needed a warranty repair. Edwin the supervisor was easy to work with, communicated well, and got the work done right. To us this is the true test of a company.....service after the sale! They never hesitated. We will definitely recommend Statewide Remodeling and will look forward to giving them more work in the future! Thank you Glen for your review. We appreciate your business and call us if you need anything!